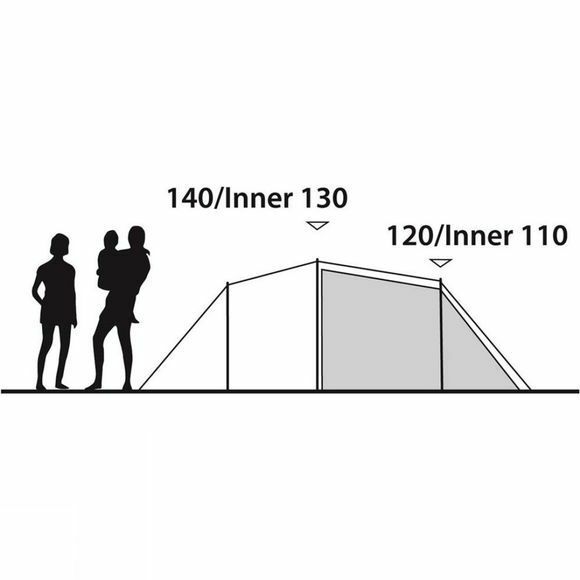 The Earth 4 Tent from Outwell is a four person tunnel tent that offers generous sleeping and living/storage space for the more active of campers. It features excellent ventilation to help keep you comfortable and a detachable bathtub groundsheet in the living area offers great versatility. There are two large doors, one at the side and one at the front, these can both be opened and rolled back when the weather is particularly nice and two large windows at the front allow a great deal of light into the living area. Easy and quick to pitch, this tent has Power Mesh pole sleeves which are made with a strong, lightweight mesh fabric to form a flexible, durable pole channel that is easy to use and results in a wind-shedding flat pole sleeve. 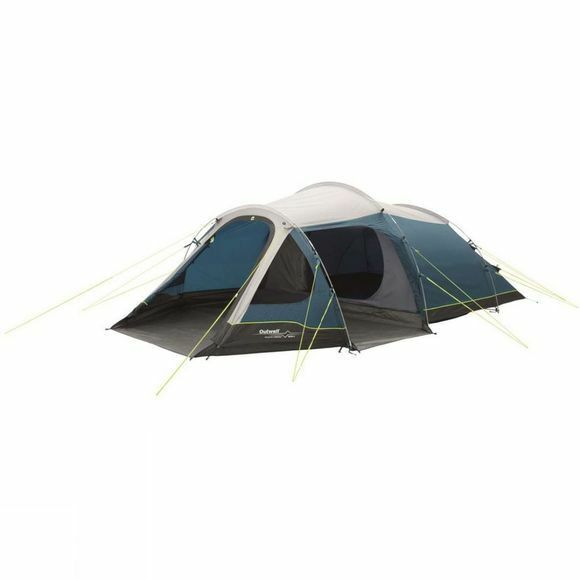 The inner is pre-attached for all-in-one pitching but can be removed easily, it has an integral, fully sealed groundsheet that will ensure there are no bugs or cold drafts creeping into the tent at night. A great option for active campers to use as a base or move around with but equally ideal for weekends away when you want to enjoy the sun outside of your own backyard.